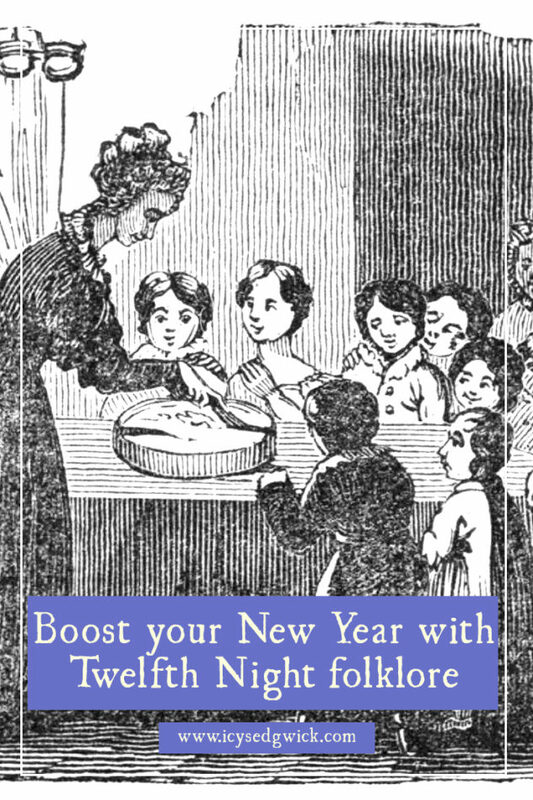 Boost your New Year with simple Twelfth Night folklore! Twelfth Night is an often forgotten festival in the English calendar. In the Christian tradition, it marks the start of Epiphany. To cut a long story short, that’s when the Magi visited Jesus. It’s moved around the calendar, but now the traditional date of Epiphany is January 6th. While Twelfth Night is the eve of Epiphany, there’s still confusion as to when Twelfth Night actually is. Is it the 5th or the 6th January? It really depends on the tradition – and how you count the days. If you include Christmas Day as the first of the 12 days, then 5th January is right. That makes sense, as Twelfth Night is the eve of Epiphany. But if you start the 12 days count on Boxing Day, then Twelfth Night falls on 6th January. That’s the evening of Epiphany itself. But where does Twelfth Night folklore come into the picture? The biggest belief is that it’s unlucky to leave Christmas decorations up after Twelfth Night. Some people take theirs down on New Year’s Eve so if that’s you, you’re off the hook! In my family, we work on the assumption that Twelfth Night is 5th January. In recent years we’ve taken them down on 4th January. Though that’s as much due to practicality as it is folklore. Some believe that tradition of taking down Christmas decorations at Epiphany actually comes from the older festival of Candlemas. Celebrated on 2 February, the festival celebrates the presentation of Jesus at the Temple. In some Christian traditions, that’s when Christmas decorations come down. 2 February is also known as Imbolc in some pagan traditions. And it was also the fertility festival Lupercalia for the ancient Romans. But let’s move forward to medieval England. Twelfth Night marked the end of the winter festival that started on All Hallows Eve (Halloween). The festivities revolved around the Lord of Misrule, and it was a time of turning the world upside down. During the Twelfth Night festival, a bean was hidden in a cake. Whoever got the slice containing the bean got to rule the feast – even if they were a peasant. At midnight, the feast ended, and the Lord of Misrule stepped down. Reality returned to normal. If you think the tradition sounds familiar, it’s not surprising. It dates back to Saturnalia, the ancient Roman winter festival, that some people believe coincides with Christmas. Other traditions continue into modern times. In some places, revellers drink wassail, a type of punch. It’s particularly traditional to drink it on Twelfth Night (hence ‘wassailing’). 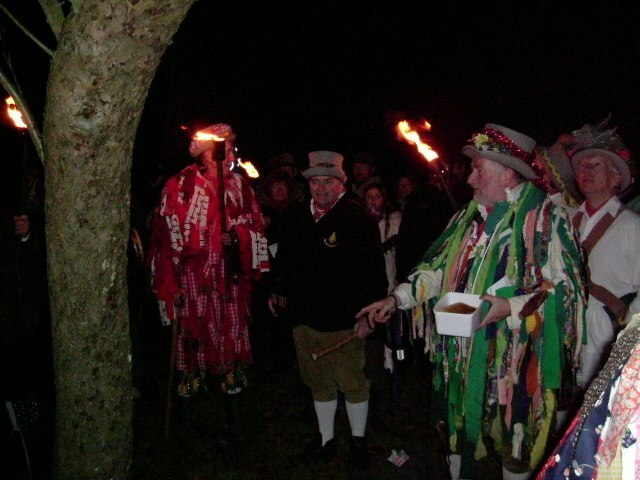 This is an example of wassailing from West Sussex. The Broadwood Morris Men wassail the apple trees on Twelfth Night. Hopefully, it’ll ensure a good harvest. The Morris Men beat the trees to scare away demons. Next, they anoint the ground with cider, recite a verse, and make noise with instruments. It’s also common to hang toast soaked in cider from the trees. Any birds who eat it will carry away any evil that was still present. Other modern customs still focus on Twelfth-cakes, containing beans or peas to help choose the rulers of the night’s festivities. And the Drury Lane Theatre in London has provided such a cake since 1795! Robert Baddeley left a bequest of £100 to provide cake and punch to the resident company every 6 January. Baddeley, in case you were wondering, was a pastry chef by trade. He became an actor, specialising in comedy. The Twelfth-cake has largely been replaced by the Christmas cake. Its hidden charms are sometimes found in the Christmas pudding instead. In parts of Kent, some families hang an edible decoration on the tree. It’s the last thing to be taken down on Twelfth Night, and it’s shared out among the family. And in the eastern Alps, the Perchtenlaufen tradition marks Twelfth Night. Masked men run around in the streets ringing bells to drive away evil spirits. Until 1616, children in Nuremberg ran through the streets and knocked on doors to chase away the spirits. It’s like an inversion of Krampusnacht. According to Vaught, traditions in Louisiana saw the Twelfth-cake become a “King Cake”. A plastic baby now hides in the cake, and whoever finds it becomes the king or queen to lead the festivities. Twelfth Night often marks the start of Carnival. But whichever tradition you follow, it’s still customary to take down your Christmas decorations – if you haven’t already! Do you celebrate Twelfth Night? If so, what do you do? References: Jennifer C. Vaught (2013) ‘Twelfth Night and the New Orleans Twelfth Night Revelers’, in Twelfth Night: New Critical Essays, edited by James Schiffer, London: Routledge. 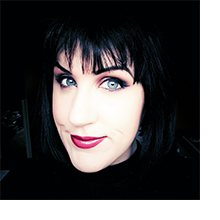 You might also like my post over on the #FolkloreThursday site, explaining the tradition of first-footing!